What do you get when major entities like a school corporation and a utility provider commit carbon-cutting projects that are expected to reduce emissions by more than half? You get close to a billion dollars in infrastructure investments, for starters. Over the last few weeks, green energy announcements have been announced by organizations throughout Indiana as part of an effort to reduce future energy expenses and protect the environment. We’ve gathered two examples for you here, one from the north and one from the south. 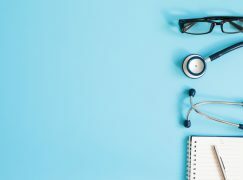 Let’s take a look at all of the benefits they’re going to bring. Rendering of Vectren’s future natural gas plant. Vectren Energy Delivery of Indiana – South recently announced plans to install an additional 50 megawatts (MW) of universal solar and build an 800 to 900-MW natural-gas-fired generation facility along with other critical investments that will significantly change the way the company generates power for the southwest Indiana region. The generation transition plan will result in carbon emission reductions of 60% over 2005 levels by replacing the majority of Vectren’s coal-fired generation with solar and natural gas. 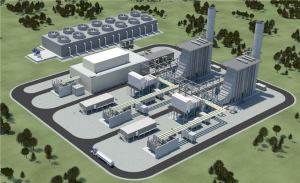 Vectren plans to build a $900-million combined cycle natural gas generation facility, the cost for which includes the natural gas pipeline needed to serve it. The facility will be established at the current site of the A.B. Brown power plant in Posey County, IN. 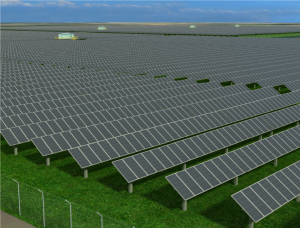 Rendering of the new solar arrays that Vectren is planning. Also, Vectren is finalizing details to construct one of the largest single-sited solar farms in the Midwest to further diversify its energy mix. The solar array will be located in Vectren’s electric service area in southwestern Indiana and will consist of more than 150,000 solar panels on nearly 300 acres. 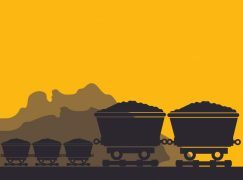 The company’s “Reducing Carbon Emissions Today” plan will lead to a reduction in carbon emissions by retiring three coal-fired units and exiting ownership of another: two 245-MW units at the A.B. Brown plant; a 90-MW unit at the F.B. Culley plant in Warrick County; and exiting co-ownership of 150 MW of Warrick Unit 4, a unit currently co-owned with Alcoa through 2023. Natural gas plant: The plant, which is targeted to be operational in 2023, will create an estimated 600 to 700 jobs during peak construction, the strong majority of which will be union labor; and employ approximately 35 full-time workers once online. 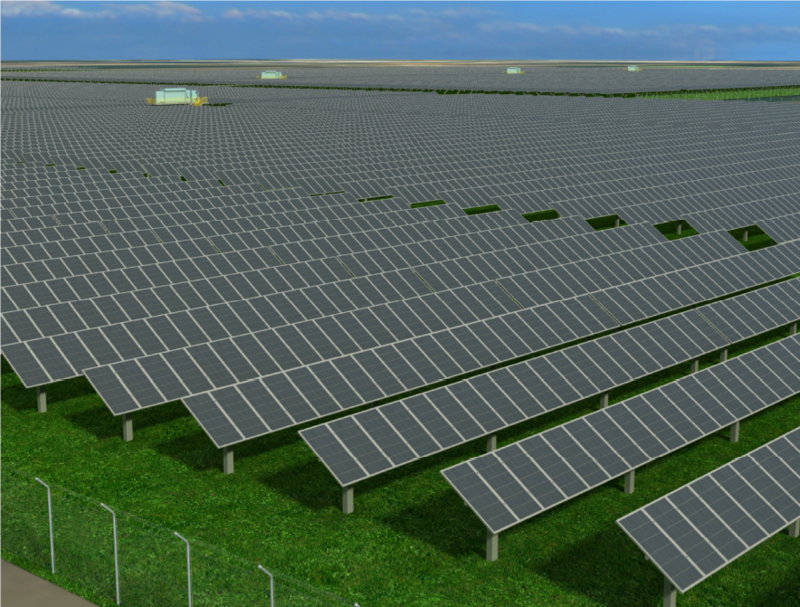 Universal solar farm: The solar farm should be operational by 2020 and is estimated to cost $70 to $75 million. At its peak, the project will spur 150 to 250 construction-related jobs, the strong majority of which will be union labor. The new solar array will be in addition to Vectren’s two 2-megawatt projects that will be built this year; one near North High School in northern Vanderburgh County and the second near Oakhill Cemetery off of Morgan Ave. in partnership with the City of Evansville. In addition to the new generation projects for solar and natural gas, Vectren will request approval to retrofit its largest, most-efficient coal-fired generation unit, Culley Unit 3 (270 MW), to ensure it remains in compliance with EPA rules related to coal ash and waste water handling. Photo showing the solar array at Krueger Middle School, Michigan City Schools. 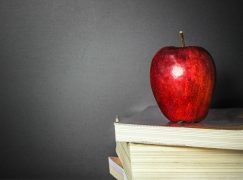 Michigan City Area Schools recently celebrated the completion of a major renewable energy project across the district. The $8.875 million project is distinguished as the largest for an Indiana school district and consists of ground-mount photovoltaic (PV) arrays and LED lighting upgrades at seven school property locations. 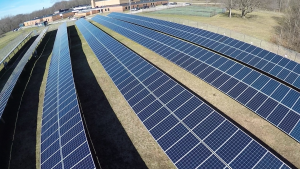 The solar arrays will provide 2.83 megawatts (dc) of clean, renewable energy and, in combination with the LED lighting upgrades, will offset approximately 52 percent of combined electricity usage at seven district buildings with expected net energy savings of $23 million over 30 years, or roughly $704,672 annually. Financed through energy savings, the project came at no cost to taxpayers. 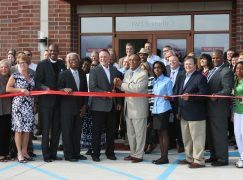 It was made possible due to Indiana net metering benefits for renewable systems and a guaranteed energy savings project with Indianapolis-based Performance Services, Inc., a firm that specializes in constructing and renovating high-performing municipal buildings. 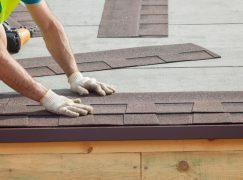 The net metering term will last 30 years per the interconnection agreement with Northern Indiana Public Service Company (NIPSCO). The solar array locations include Joy Elementary, Niemann Elementary, Pine Elementary, Barker Middle School, Krueger Middle School, Michigan City Area High School and the MCAS Administration Building. 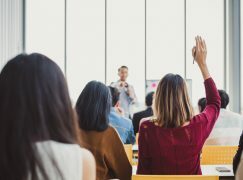 In addition, a customized solar curriculum program developed by the National Energy Education Development (NEED) project and sponsored by Performance Services is available to MCAS for use in the classrooms across the district.